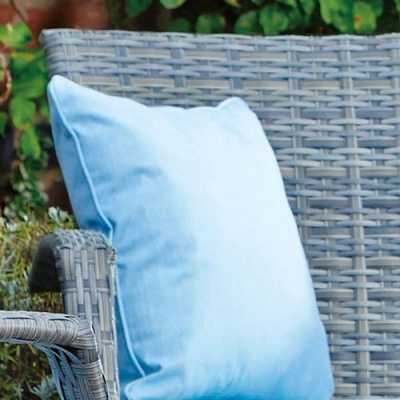 Supremo Scatter Cushion (Single) in Cornflower blue design compliments the Supremo Ashbourne furniture ranges. Provides replacement or additional comfort cushions for back support when garden dining. Supplied in singles. Identical cushion also available in other colours.